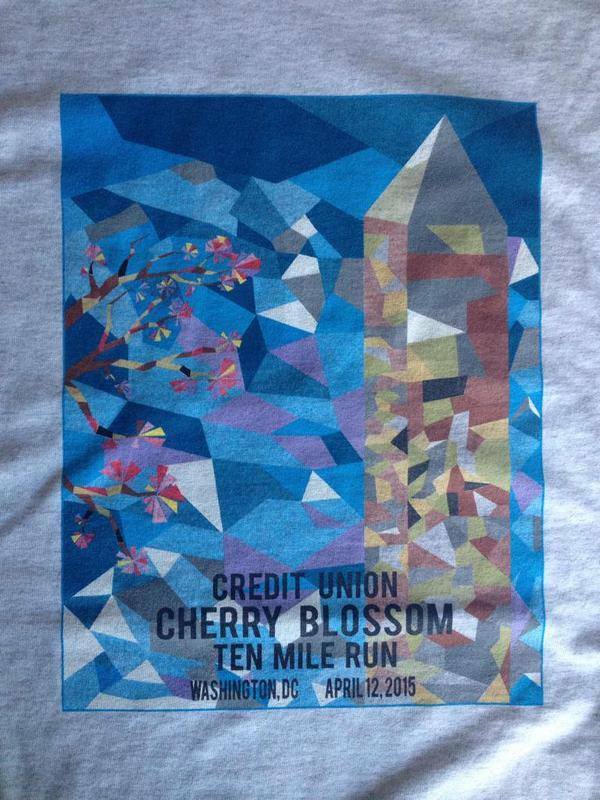 The 2015 Credit Union Cherry Blossom 10 Mile Run T-shirt design was unveiled at the Fall Kickoff party on Friday night. Attendees voted for the Heather Gray T-shirt to showcase the beautiful artwork by Abby Matousek! For an awesome recap of the evening, visit Kim Runs Miles blog post! The lottery to enter the 2015 Credit Union Cherry Blossom 10 Mile Run opens on Monday, December 1 and the race is Sunday, April 12, 2015. I'm grateful for the opportunity to join the CUCB Blog Team and will share more information about this wonderful race in the coming months! Stay tuned!